Location, portrait and event shooters will rejoice at the ease and portability of this self-contained background system. 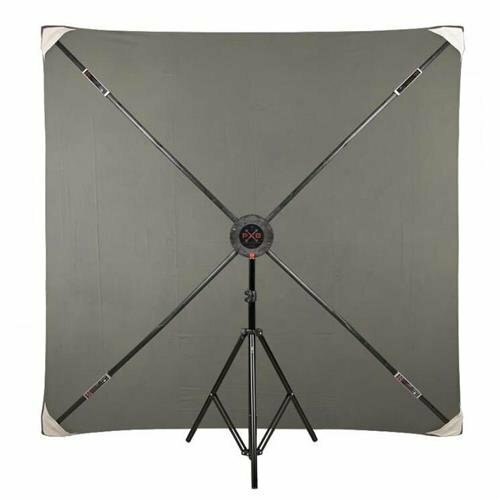 The PXB Portable Background System consists of a unique X-frame and a convenient adjustable stand. It assembles in minutes, is completely self-supporting, stows away neatly in its own 8 x 8 x 36" (20 x 20 x 92cm) case and weighs just 12.8 lbs. (5.8kg). Our light gray muslin background is constructed from 100% cotton muslin. Its dimensions are 6 x 6', making it perfect for photo booths, children, product photography and sitting portraits.